Nothing says fall and the holidays to me quite like cider. It is just so festive and delicious. This is about the only time of the year I really drink juice. Juice is honestly much too sweet for me these days as my taste buds have acclimated to no refined sugar and limited sweets in general. 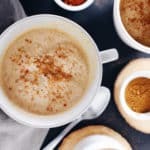 When fall rolls around though, I want a warm cup of cozy cider, and I use high quality fresh pressed cider with just apples and no other ingredients or sugar added to make this spiced pumpkin coconut cider. 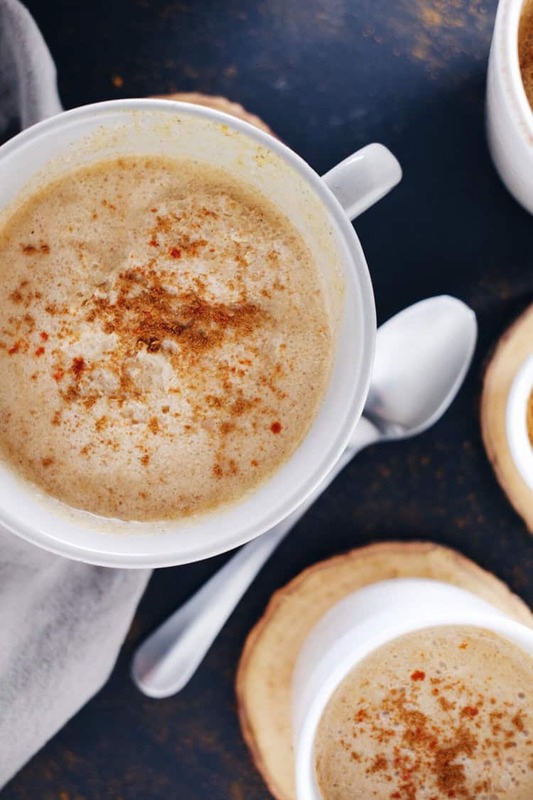 I especially love this spiced pumpkin coconut cider recipe because it is such a delightful and unexpected combination of flavors. First off, it has got a bit of kick to it. Something about making a traditionally sweet beverage a little spicy just really works! Then, it has pumpkin puree and coconut milk added to make it a little extra frothy and creamy. Again, it just works! There are some extra spices added in too, like cinnamon, nutmeg and cardamom. I mean who doesn’t love all those things with apples?! 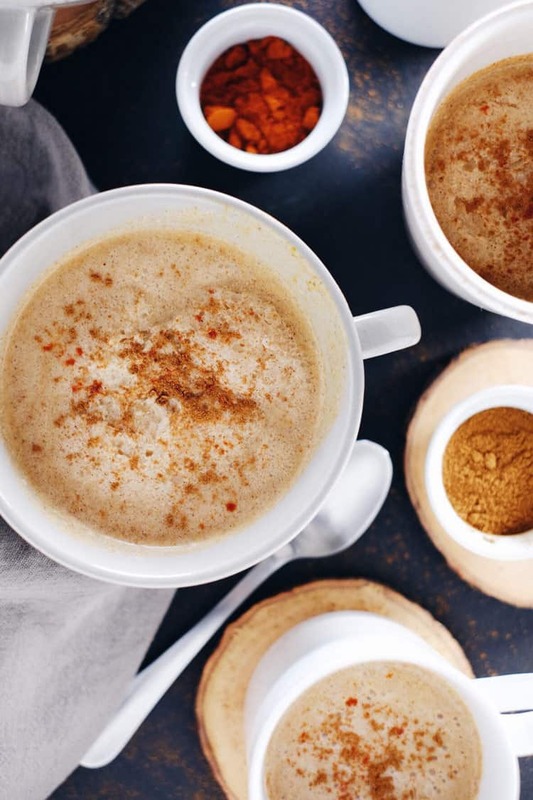 The bit of kick in this spiced pumpkin coconut cider is really the perfect cure for staying warm and cozy this fall and winter! It is like a dream sipping on it by the fire on the comfort of your own couch, or it is the perfect cup to take with you as you head out the door in the morning or to go running errands. Take a few sips and the let the cayenne keep you warm and fuzzy all morning long. 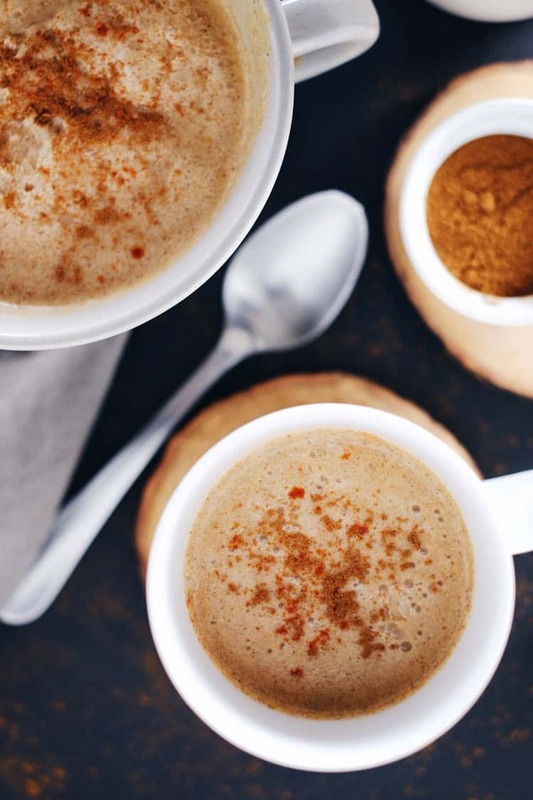 Alright, bust out your blender and whip up a mug of spiced pumpkin coconut cider. It’s creamy, dreamy and perfectly spicy to keep you warm and cozy! Let us know how it goes by leaving a comment below. Take a photo and tag us on Instagram @realsimplegood, so we can check it out! Remove from heat and place in blender with the remaining ingredients. Blend on medium-high until everything is combined, about one minute. Pour into mug and sprinkle with a dash more of cinnamon and cayenne if desired. Enjoy!